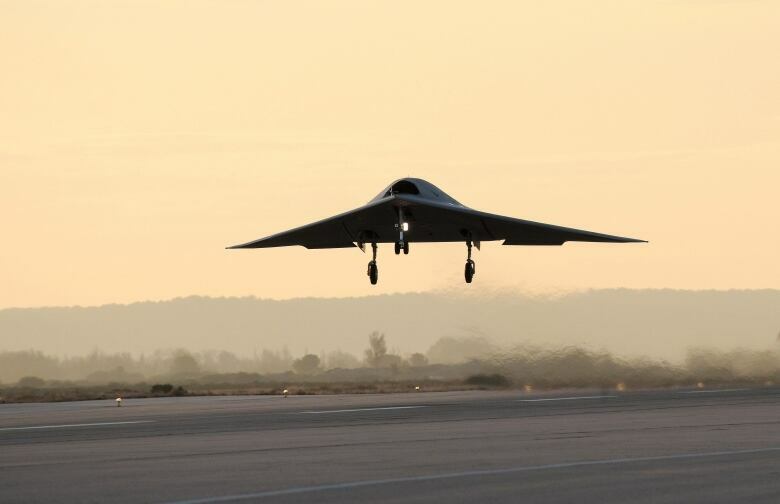 A Chinese state-owned company says it is developing a stealth combat drone in the latest sign of the country’s growing aerospace prowess. The CH-7 unmanned aerial vehicle also underscores China’s growing competitiveness in the expanding global market for drones. China has won sales in the Middle East and elsewhere by offering drones at lower prices and without the political conditions attached by the U.S.
With a wingspan of 22 metres (72 feet) and a length of 10 metres (33 feet), the swept-wing CH-7 is the size of a combat aircraft and its single engine can propel it at roughly the speed of a commercial jet airliner. The U.S. has been extremely cautious about selling its higher-end unmanned system, even to NATO member states, opening up an opportunity to China in the export market, said Justin Bronk, an expert on such technologies at the Royal United Services Institute for Defense and Security Studies in London. The numbers of drone programs unveiled in China in recent years has been “dizzying,” said Sam Roggeveen, director of the international security program at Australia’s Lowy Institute. While the CH-7’s ultimate effectiveness remains to be determined, if exported, it would “mark another step-change for China, which has traditionally not offered its cutting-edge technology to foreign customers,” Roggeveen said. Across the Middle East, countries locked out of purchasing U.S.-made drones due to rules over excessive civilian casualties are being wooed by Chinese arms dealers, now the world’s main distributor of armed drones. While the U.S. still holds a technology advantage, China wins on price. The fact it is willing to sell the CH-7 abroad could indicate the technology is less than cutting edge, given China’s desire to guard its technological edge in such areas, said Ron Huisken, a regional security expert at Australian National University. China’s exports also underscore the growing pervasiveness of drones in modern warfare, even without strong international agreements on where and how they can be used. “One wonders what nasty surprises are in store as countries [get] more casual about how they use drones and less strict about training standards get their hands on them,” said Huisken. 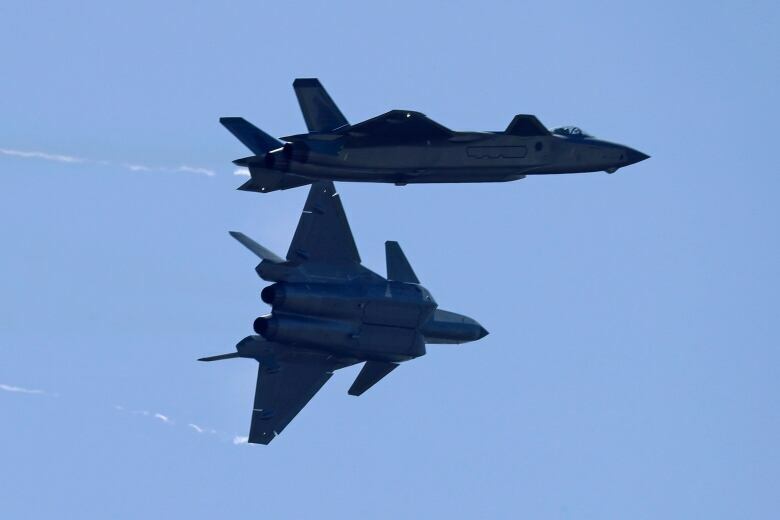 Also appearing again at this year’s Zhuhai show was China’s homebuilt J-20 stealth fighter, which outwardly resembles the Lockheed Martin F-22 Raptor in service with the U.S. military. It was joined by the Chinese J-10B fighter with vectoring thrust, featuring an engine equipped with a hinged nozzle. 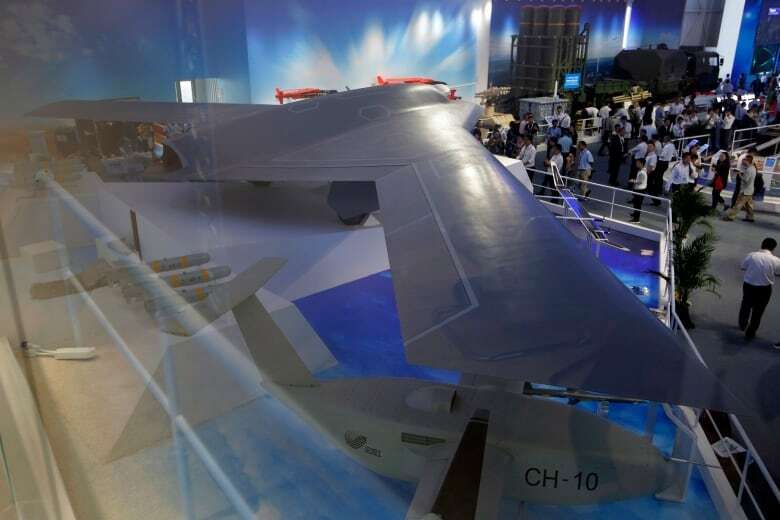 Vectoring thrust technology allows planes to direct their propulsion, giving it more flexibility in maneouvering, and the substitution of Chinese-made WS-10 engines for those imported from Russia appears to mark a new milestone for the domestic defense industry. The jet fighters on display thrilled spectators. For many, the performances demonstrated China’s burgeoning aerospace industry and growing confidence in its technology. “I think it is pretty awesome,” said Xie Dongni, a marketer for an information technology company.